Last year I wrote a blog for ANZAC Day focused on the occasion, however this year’s is focusing on the human experience. During a visit to Turkey 4 years ago our family went to Gallipoli much to the encouragement of our daughter who studied the event at school. 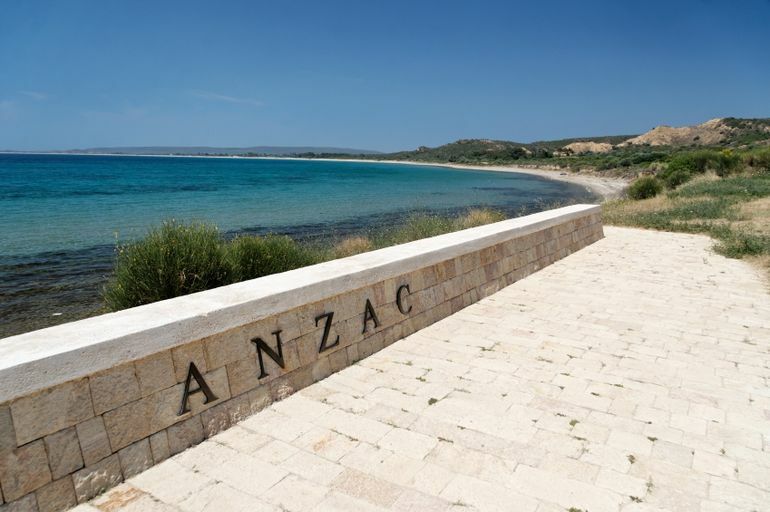 The anticipation to visit Gallipoli meant it was a ‘must see’ for her. We duly arrived in Istanbul where we joined a small tour group to travel about 4 hours by an exceptionally slow mini bus in the summer heat. When we arrived, neither my wife nor I had the same expectation or enthusiasm as our daughter presented. Water bottles at the ready we proceeded to commence the tour, unfortunately we missed the Museum – it’s closed Tuesdays if you go! – so we resorted to peering through glass windows, ironically catching more reflection of the self than anything else! 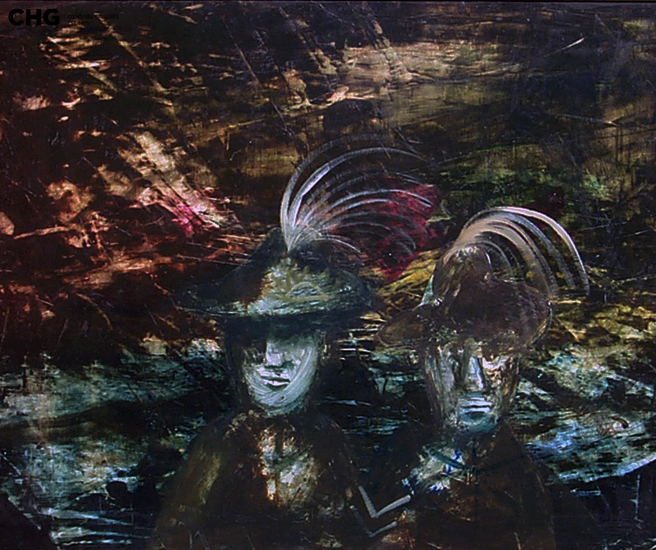 ‘Gallipoli’ by Sidney Nolan. 1959. 151 x 122 cms. Polyvinyl acetate on composition board. Enquire about this artwork by calling 0418 492 259. Our guide on the day was informative and knowledgeable and as a result I soon became engaged. As we moved to the waters edge of ANZAC Cove where the arrival monument stood there was the soldiers’ roster and it was a salient reminder of extent of the death toll and number of Australian soldiers killed. It was at this point I was transcended with an aura of emotion welling inside me. I turned around to view the water and walked on parched dust and small stones to the waters edge. In the distance were hills, of a non descript nature, but they helped me gain a perspective and an imagination of the scale of this war landing and significant historical event. It was not a place of images of horror for me but more one of reflection! We then viewed what were traces of the old trenches, mainly full of dirt and stone, perhaps more of a storm water course today than a trench, non the less my imagination was alive. We proceeded up to the ‘Lone Pine’ cemetery to sight the tree, get a higher vantage perspective and view the gravestones themselves. Time stood still and emotion took over, walking down rows of soldiers names with rankings inscribed on local headstones. As we explored more of the grounds and as we got on board the bus to return, I was truly amazed at the transformation, with the personal involvement and understanding that had come over me at this place. Unexpected, not encouraged but something like an experience. Gallipoli did change me with an awareness and appreciation not witnessed before. There may have been a spell that overtook me, something I expected was peculiar to me, however as we conversed with other passengers on the way back to Istanbul there was a stillness and somberness. I then realised my emotions were common to many on the tour. I was so glad I developed a significant understanding at Gallipoli, what happened, the carnage, bravery and the horrors of war. I returned with insight, respect and slightly lightheaded. I can only put that down to the experience of the day! I was truly moved, something I didn’t expect. However it was immensely rewarding. 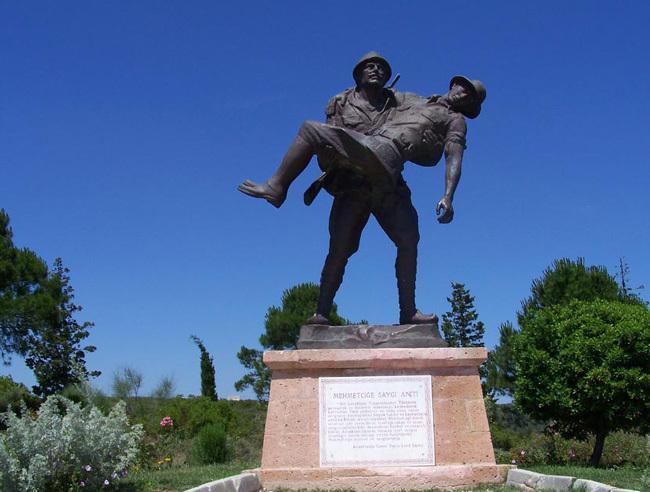 If you haven’t been, and would like to visit Gallipoli, do so, however go with an open mind. Yours in art, on this significant occasion.